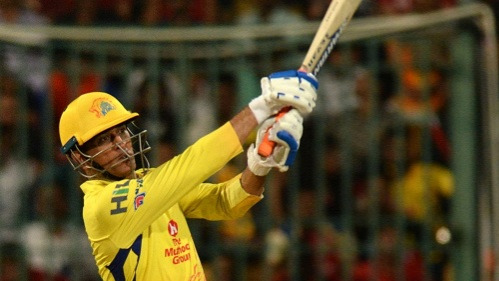 Dhoni played a match-winning knock last night for CSK. Nothing gets people going like an MS Dhoni special these days. We all realise he is perhaps in the evening of his illustrious career and so, just want to savour as much of his magic. Last night was one such occasion. 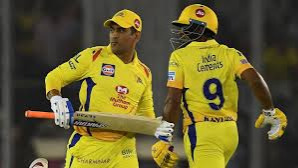 MS Dhoni clocked back the years with a scintillating innings in a match-winning run chase for Chennai Super Kings against Royal Challengers Bangalore. MS Dhoni mesmerised everyone with his 70* off just 34 balls that included 7 huge sixes. It was an innings so typical of him. He along with Ambati Rayudu, the admirable cricketer who himself scored an 82 in no time, calculated the run chase of 206 in 20 overs brilliantly. Csk went on to beat the helpless RCB side led by Virat Kohli by 5 wickets left in the tank. Chennai hit 17 sixes in total. It got the twitter going too. Ranveer Singh and Varun Dhawan, two huge Bollywood names, tweeted their love for the way MS Dhoni brought out the best in himself and stroked another match-winning masterclass in his rich career, as well. What an amazing game #DHONI whatta hair cut and what a shot. Great game of cricket. That's how much love MS Dhoni has commanded by being himself. He is an absolute legend of world cricket. More such masterclasses would be very much welcome for us to savour him. Thanks for the memories Mahi.